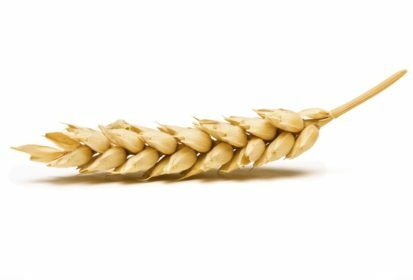 CNS Canada – Wheat bids in Western Canada were lower for the week ended Nov. 8, following the lead of dropping United States futures markets. Average Canada Western Red Spring (13.5% CWRS) wheat prices were down slightly, falling by less than a dollar to C$2 per tonne, according to price quotes from a cross-section of delivery points compiled by PDQ (Price and Data Quotes). Average prices ranged from about C$249 per tonne in southeastern Saskatchewan, to as high as C$270 in southern Alberta. Quoted basis levels varied from location to location and ranged from $34 to $55 per tonne above the futures when using the grain company methodology of quoting the basis as the difference between the U.S. dollar denominated futures and the Canadian dollar cash bids. When accounting for currency exchange rates by adjusting Canadian prices to U.S. dollars (C$1=US$0.7625) CWRS bids ranged from US$190 to US$206 per tonne. That would put the currency adjusted basis levels at about US$9 to US$25 below the futures. Canada Prairie Red Spring (CPRS) wheat bids were weaker, falling by C$4 to C$5 per tonne depending on the location. Prices ranged from C$213 to C$229 per tonne in Alberta and Saskatchewan. Average durum prices were narrowly mixed, with bids ranging anywhere from C$211 in southwestern Saskatchewan to C$222 in western Manitoba, depending on the location. The December spring wheat contract in Minneapolis, which most CWRS contracts Canada are based off of, was quoted at US$5.8000 per bushel on Nov. 8, down by one U.S. cent from the previous week. The Kansas City hard red winter wheat futures, which are now traded in Chicago, are more closely linked to CPRS in Canada. The December Kansas City wheat contract was quoted at US$4.9725 per bushel on Nov. 8, down by seven U.S. cents compared to the previous week. The December Chicago Board of Trade soft wheat contract settled at US$5.0775 per bushel on Nov. 8, down by a cent on the week. The Canadian dollar settled at 76.25 U.S cents on Nov. 8, which was steady on the week.